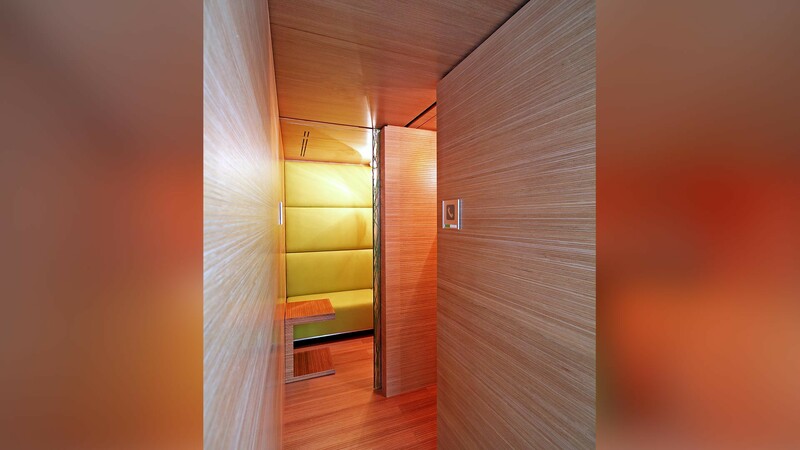 Shortlisted for the CID Award for “Sustainable Design of the Year” 2012. 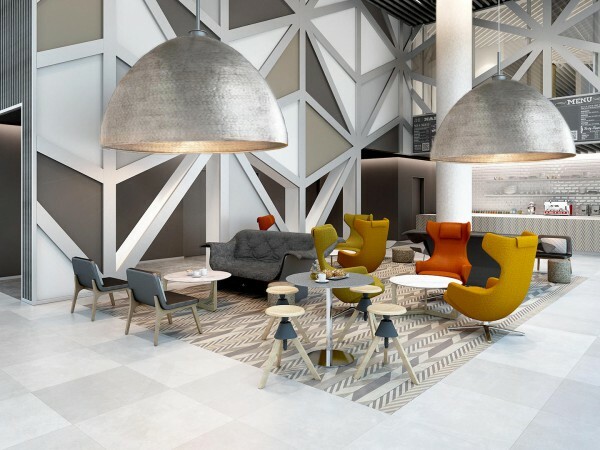 We were inspired by the ideology of ‘Ecomagination’ and wanted to create a great workspace that would translate this into built form, designed to aid staff interaction and productivity. 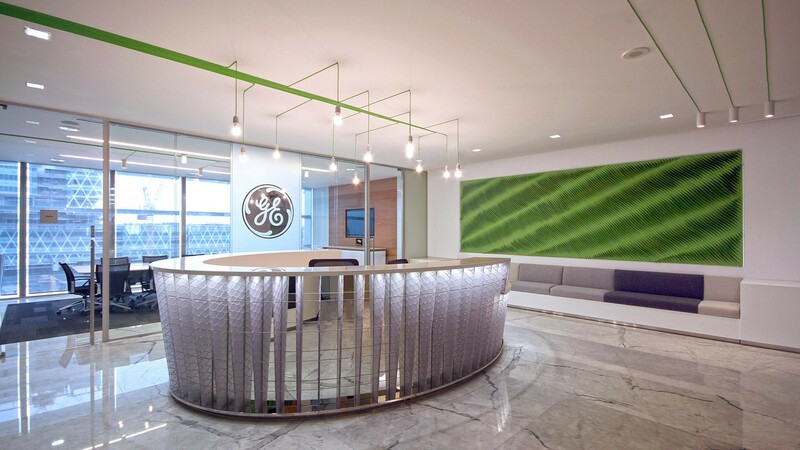 With GE’s commitment to green initiatives, the project was strongly driven by environmental considerations. The selection of materials and products was focused on those that are recycled, recyclable, renewable, or sustainable. 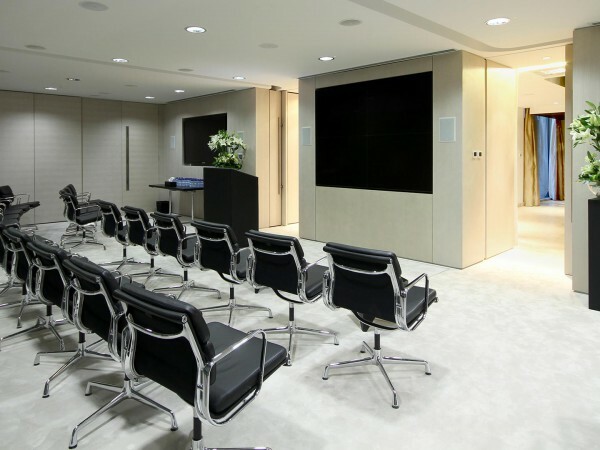 A key consideration was also the practicalities and complexities of populating a large number of staff and offices, within the given floor plate, whilst retaining an open, light and spacious feel. 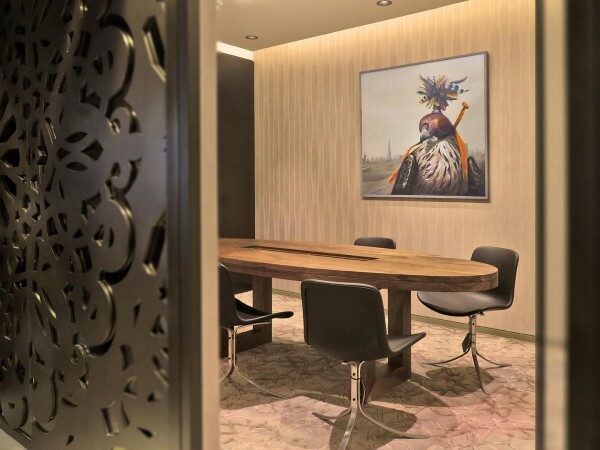 The reception area is seen as an art gallery space, a calm, minimal environment decorated with three artistic installations that portray a powerful message. 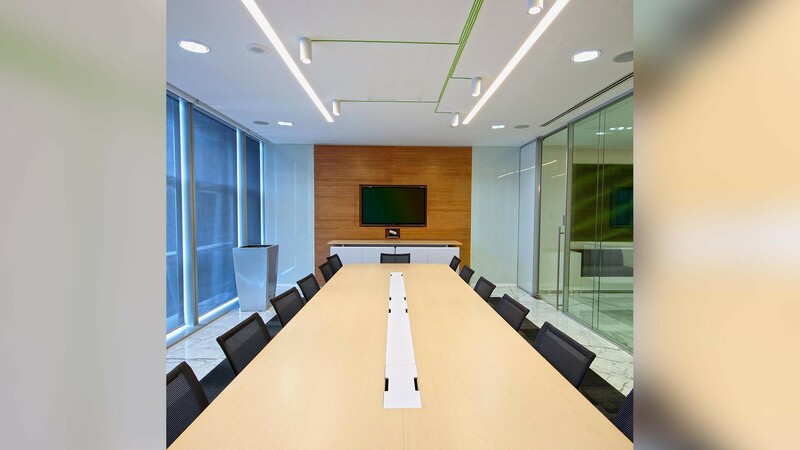 To either side of the central “Reception Bulb” are “The Screen” and “The Green”. 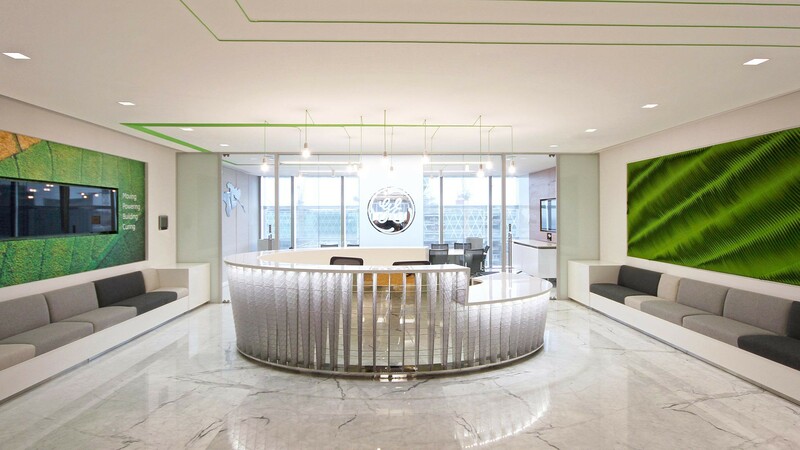 The circular continuous form of the glowing oval desk, “The Reception Bulb” made of glass and wire elements is inspired by GE’s origins in lighting manufacturing. 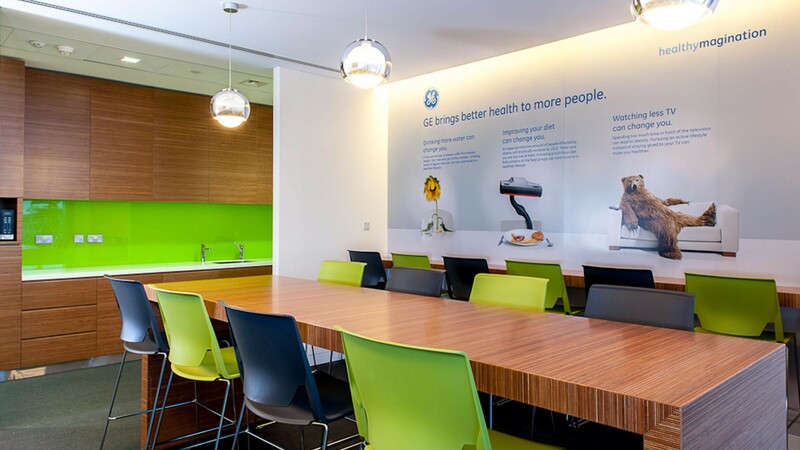 The hanging lamps above advertise GE’s low energy lighting, whilst cables continue from the fittings along the ceiling and into the meeting room creating a form of ‘creative energy path’ from space to space, throughout the workplace. 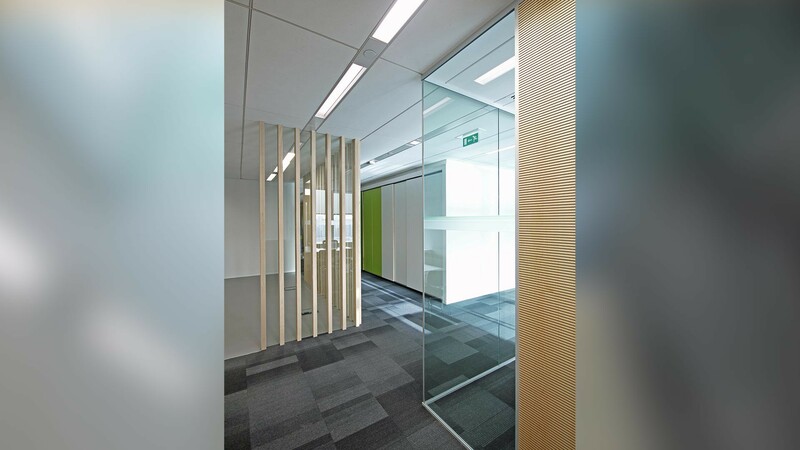 The clean lines of these energy paths continue along the corridors, forming visual links throughout the office space. 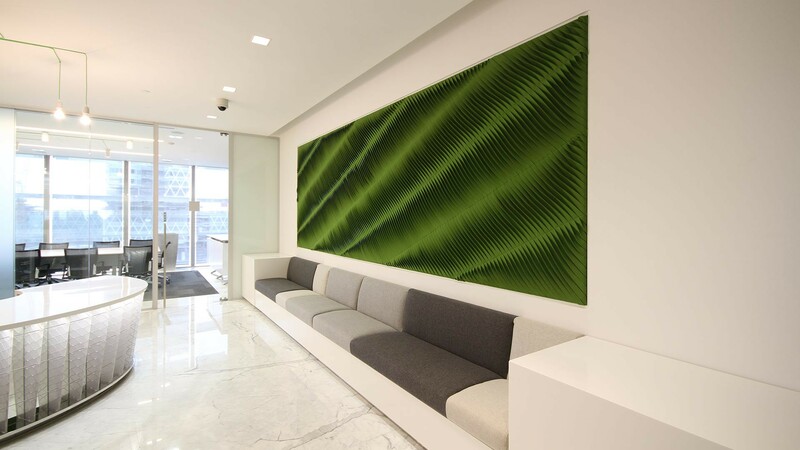 On the right is The Green - a soft green felt wall, to the left is The Screen - an electronic screen displaying GE’s latest ecoimagination innovations. The two walls form a positive dialogue between nature and innovation.